While I am generally not a huge shopper and try to keep the “stuff” in my house to a minimum, I do have some favorite products* that I believe make my life easier and help me to prepare things at home that I might otherwise need to purchase (generally at lower quality!). Check back here often, as I will continually update this list with more favorites as I find them. This is the bread machine I use to make all of my sandwich bread, pizza dough, rolls, and more. To read more about why I love my bread machine, check out this post! Ok, yes, this is a HUGE investment. 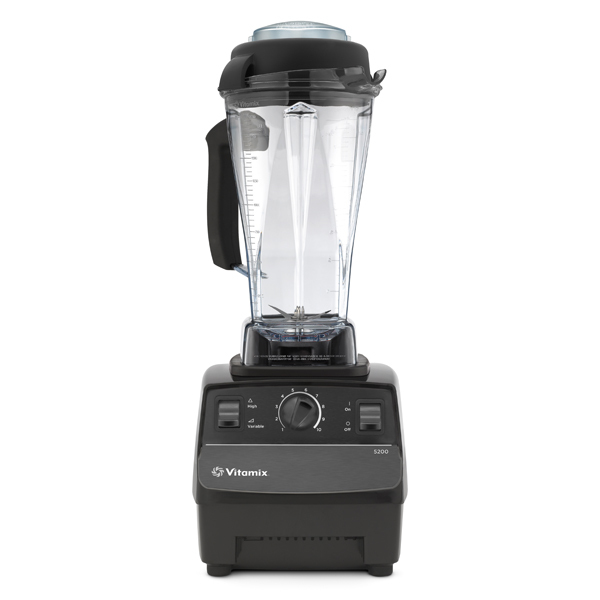 But if you can swing it, we absolutely love our Vitamix for making whole food smoothies (which turn into the ice pops below! ), peanut butter, ice cream, sorbet, and more. Everything comes out amazingly smooth, even drinks with things like nuts, seeds, and leafy greens. Such a great way to help us all get more nutritious foods in our diet! When we got married, we registered for beautiful, delicate glasses, that broke one by one over the years. When one broke in our munchkin’s mouth when she was taking a sip, it was the final straw that convinced us to invest in a new set! We decided to get these Duralex tempered glasses for the whole family – the small size is perfect for children, with medium for me and large for hubby too (are we the bear family visited by Goldilocks??). They are amazingly resilient, too – I saw one fall off our kitchen counter and bounce! They come in different styles, too, so I think they are a great choice if you are looking to get away from the traditional plastic cups marketed to kids and have a single set for the whole family. Ok, so the tempered glasses above are resilient, but not impossible to break, especially by a toddler who is still learning that’s not entirely appropriate to throw tableware at the floor. So, for my littlest one, I use this stainless steel cup which is completely non-toxic, easy to hold, dishwasher safe, and unbreakable, even by the most motivated toddler! If you do get a Vitamix (or any other blender) for smoothies, you need reusable straws to go with it! When we first started making smoothies, we were going through plastic straws like crazy, which bothered me from a waste perspective and also because I am trying to reduce how much plastic touches our food. These stainless steel straws are non-toxic, unbreakable, and dishwasher safe – doesn’t get much better than that. I have two sets of these silicone ice pop molds. I like that they are individual, making it easy to find room in the freezer, and also allowing me to pack one at a time in a lunch box or for another on the go treat. Pops that start out frozen will thaw a bit to become go-gurt like snacks! Plus, the design means that melting ice pops drip mostly back into the container for drinking, rather than all over hand, shirts, tables, etc. I LOVE these glass storage pieces from Pyrex. The tempered glass is fridge, freezer, oven, and microwave safe, along with being totally non-toxic (unlike plastic). They also allow for easy viewing of contents, and are even pretty enough to use for casual serving pieces! Mason jars are something I recently discovered, and have decided you can’t have too many. I use these for everything from freezing sauce, stock, etc. to storing things like flax seeds and homemade peanut butter in the fridge to packaging food gifts like granola. They are so versatile – I have no idea how I ever lived without them! When my older daughter started having lunch at school, I invested in this PlanetBox, which I absolutely love. It is sturdy, totally non-toxic, eliminates the waste from single serving packages, and makes it easy for my daughter to easily see all of her lunch options at one time. It also encourages me to pack a variety every day. For some examples of the lunches I’ve packed, check out my school lunch albums! For other food on the go, I love this line of stainless steel containers from Kids Konserve. I have found them to be completely leak resistant (tested with thawed frozen blueberries, which might as well be purple ink!) and love that they are both non-toxic and unbreakable by the kids. *Please note, this site contains affiliate links, which means if you click on a picture or link and purchase a product, you pay the normal price and I get a small commission. I will never post a product that I can’t actually vouch for (and if this policy changes at some point, I will clearly disclose any exceptions). Thank you for your support!